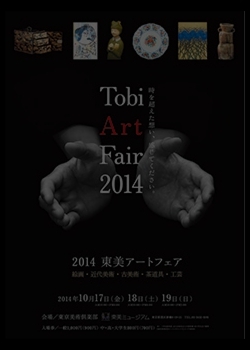 exhibition Kotobukiya 西洋美術　寿屋 Kotobukiya Co., Ltd.
TOBI ART FAIR is one of the biggest spot sale fair in Japan, and is put representative works of art that dealers collected. 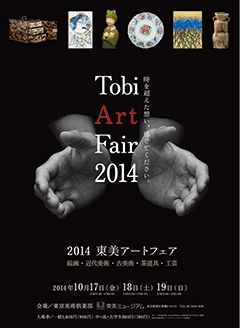 This fair is presented by Tokyo Art Club where many Japanese art dealer organize. 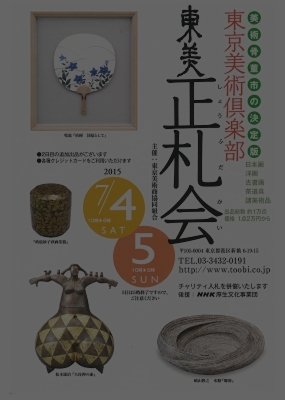 Gallery handling "Contemporary art" "Tea ceremony" "Modern art" "Art crafts" "Paintings" attend to this big fair. 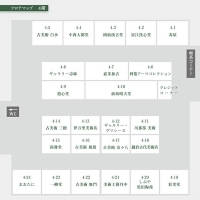 Our stand is "1st floor - 11". 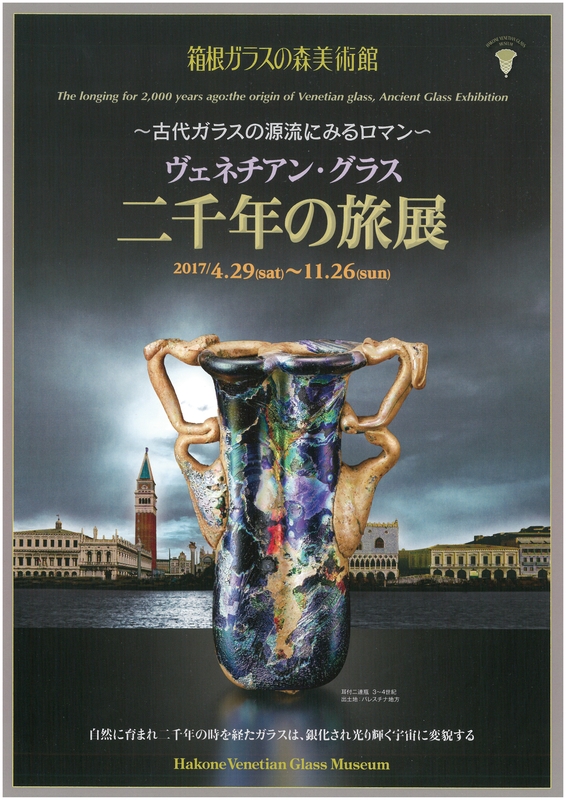 We would put Nice Amulash Pottery Bull Rython on Catalogue, Greek black figure pottery, Egyptian and many kinds of antiquities in this fair. 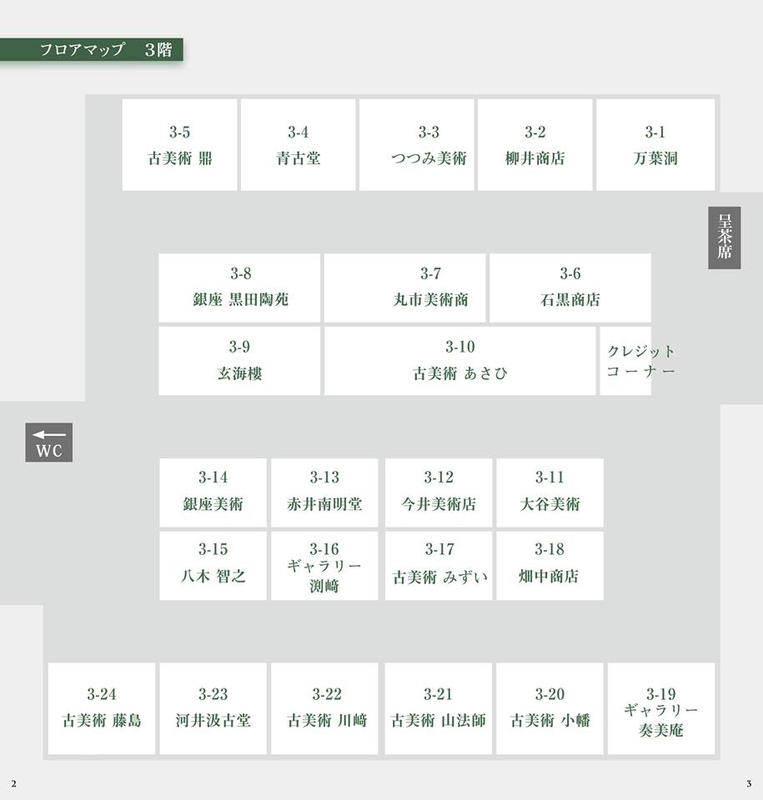 We are looking foward to meeting at this fair. 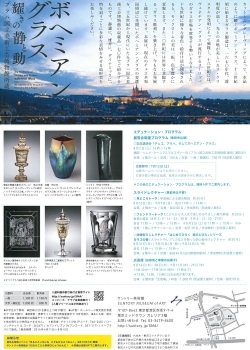 The art of Japan, China, Tea ceremony, Glass, Orient would be exhibited, and you could purchase from 20,000 JPY . Following this SHOFUDAKAI, we would list very nice condition persian pottery, and some glasses for Japanese sake. 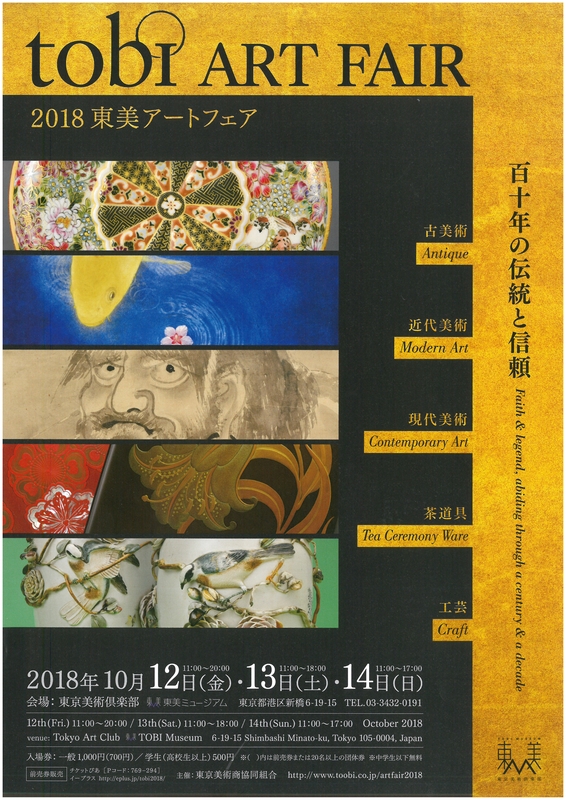 We hope that you could find your favorite arts at this exhibition. Hakone Venetian Glass Museum will start the exhibition "The longing for 2,000 years ago: the origin of Venetian glass, Ancient Glass Exhibition". 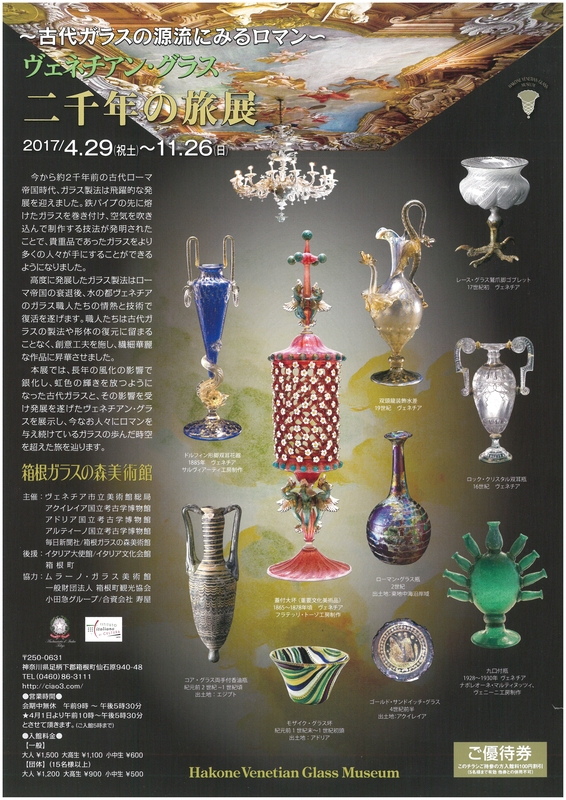 At this exhibition, we cooperated with Hakone Venetian Glass Museum, lots of many beautiful glasses will be exhibited from Museum in Italy and some private collection. We hope that you could enjoy this fair. 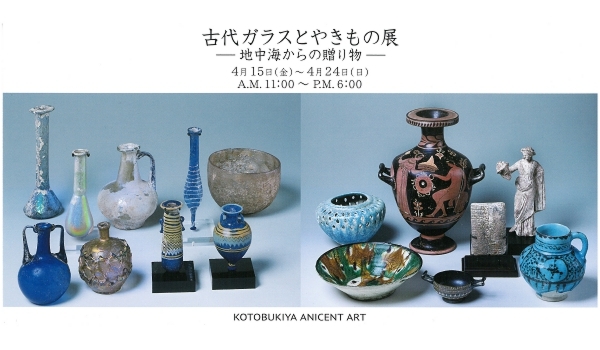 2016/4/15（Fri）～4/24（Sun）　EXHIBITION "Ancient Art Fair"
"Ancient Art Fair -The Gifts from The Eastern Mediterranean Sea-"
We have a greatful thank you for all customer's usual kindness. 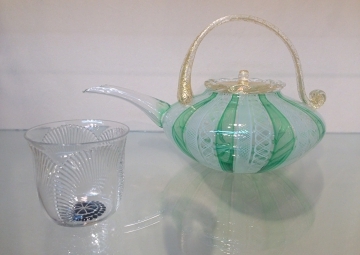 We could offer you highly selected Egyptian, Greek, Roman, Ancient Glasses, Persian antiquities with good provenance. All of these are recent acquisition. 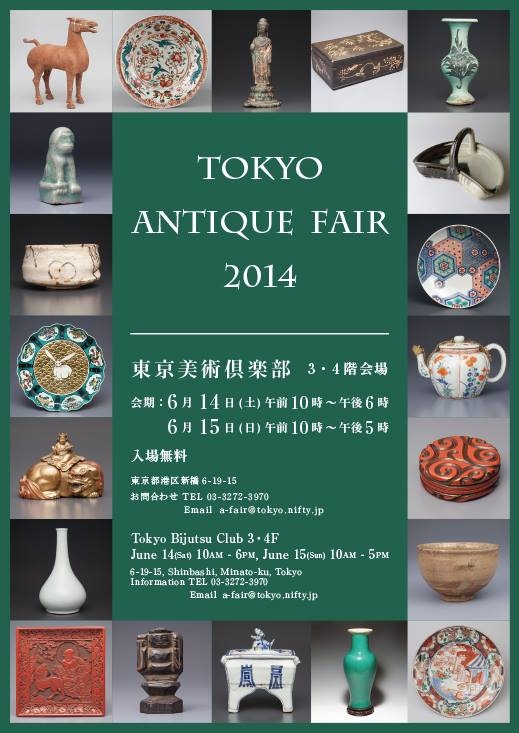 You must be in good mood, and we hope that you could have a great time at this fair. We are looking forward to meeting overseas customers. ※Plese push the intercom "301". 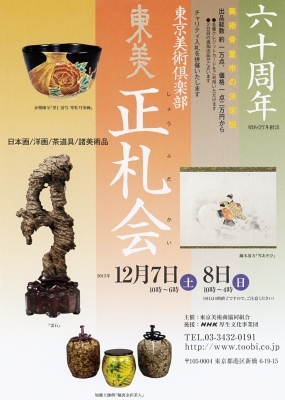 The art of Japan, China, Tea ceremony, Glass, Orient would be exhibited, and you could purchase from 20,000 JPY . 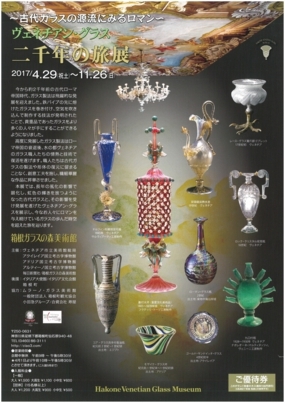 Following this SHOFUDAKAI, we would list popular enameled liqueur glasses and Lalique wine glasses, and glass for Japanese sake. This is the last "TOBI SHOFUDAKAI" in this year. purchase from 20,000 JPY (roughly $200). Following last SHOFUDAKAI, we would list popular enameled liqueur glasses and Lalique wine glasses. 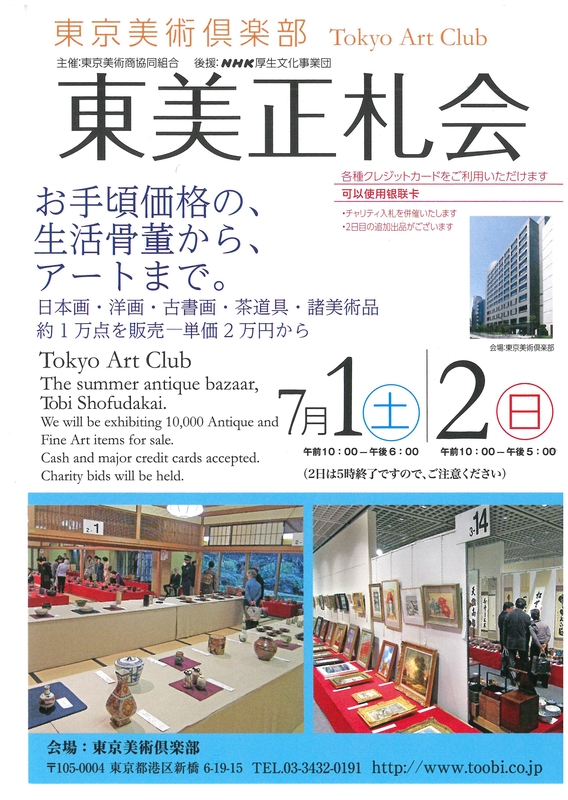 This fair is presented by Tokyo Art Club where many Japanese art dealer organize. 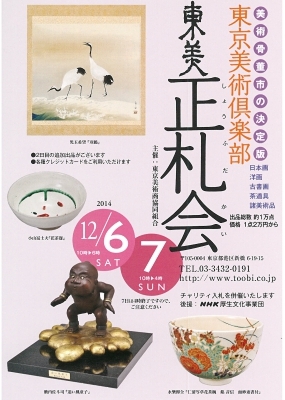 112 gallery that handle "Contemporary art" "Tea ceremony" "Modern art" "Art crafts" "Paintings" attend to this big fair. 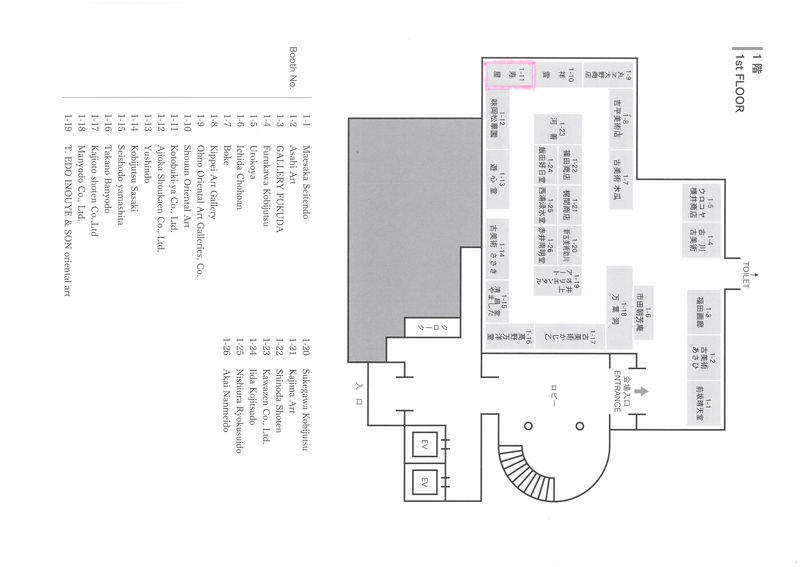 Our stand is "1st floor - 12". 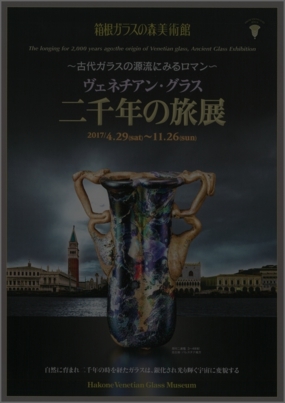 We will put beautiful purple colour iridescent roman glass, Greek black figure pottery, Egyptian and many kinds of antiquities in this fair. 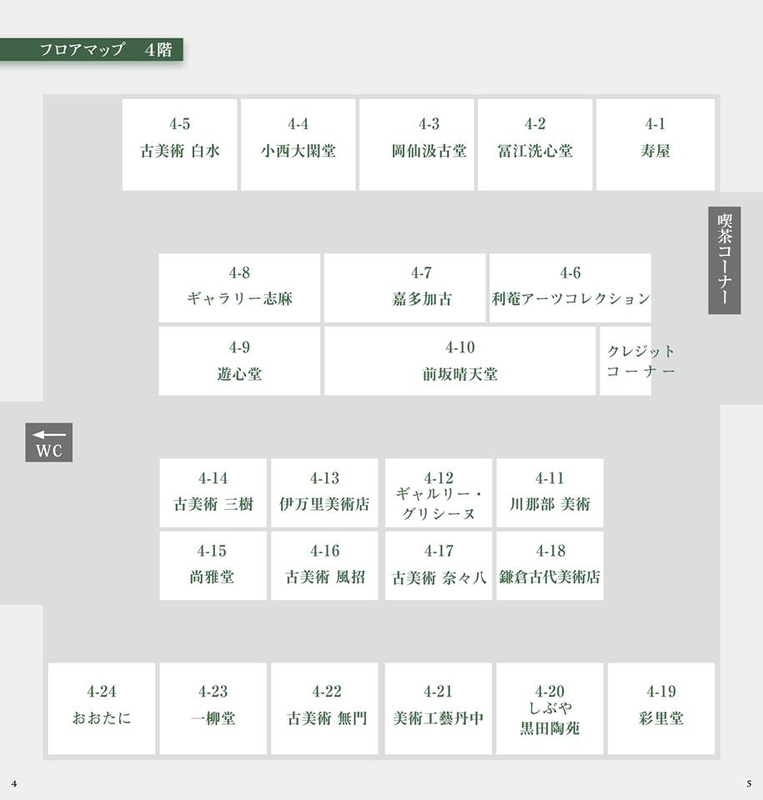 We are looking foward to coming to this fair. 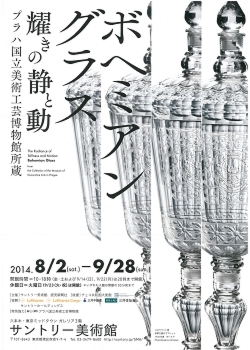 Suntory museum of Art started exhibition "Bohemian Glass ～The Radiance of Stillness and Motion～". All of glasses are exhibited from the Museum of Decorative Arts in Prague. 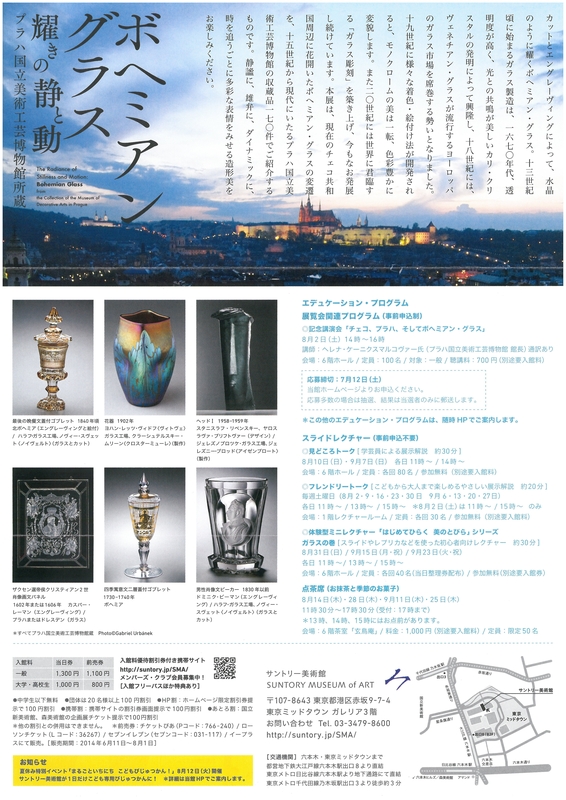 We hope that all the people coming this exhibition could feel the fascination of high level and beautiful glasses. 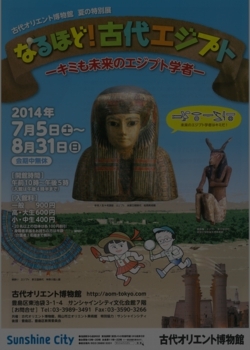 The Ancient Orient Museum started exhibition "The Ancient Egypt - You are the Egyptologist in the future -". 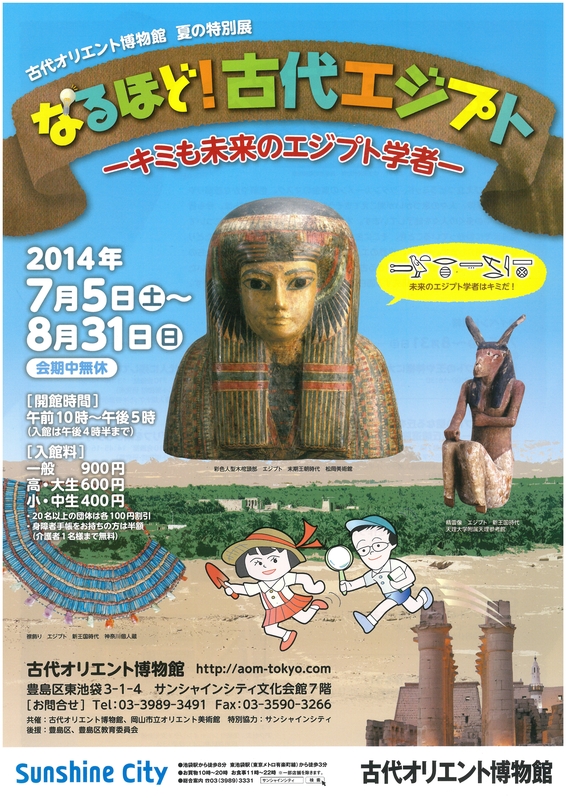 In this exhibition, putting mainly Egyptian art, and all of arts are many high quality arts. 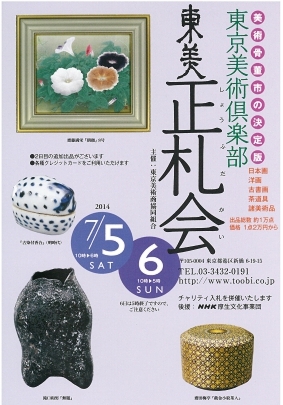 We hope that many people would go to see, and have fun at this exhibition. put from 20,000 JPY (roughly $200). 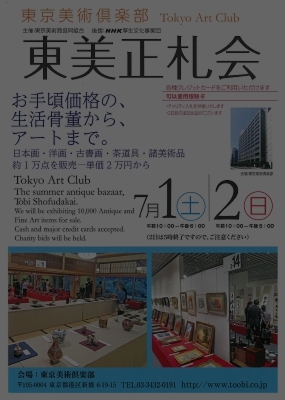 Furthermore, many Japanese art dealers would attend here, and would exhibited 10,000 Antique and Fine Art items. 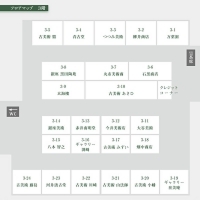 Our stand is "4 floor - 1". 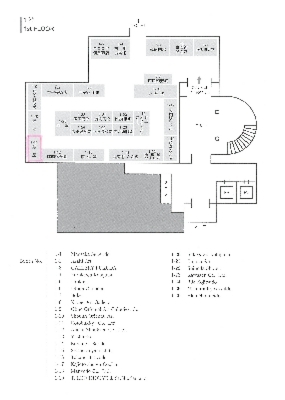 We would put important greek alabastron on this exhibition. 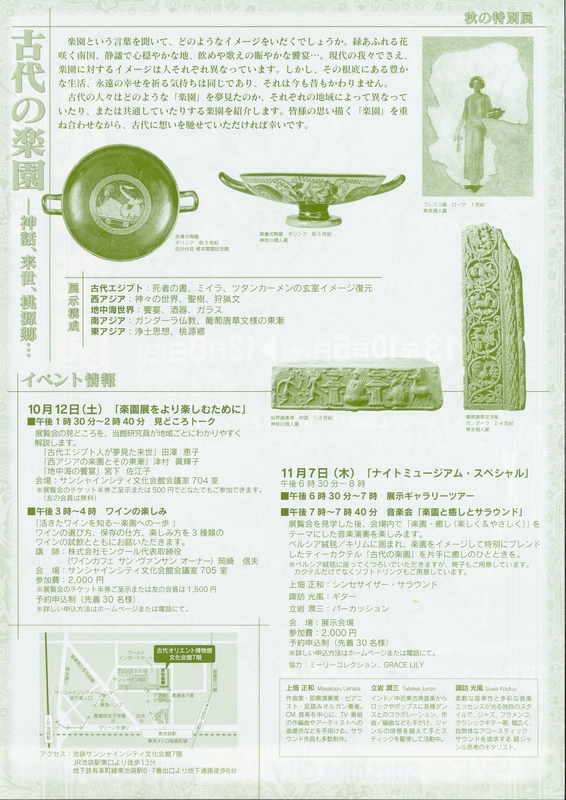 This art has a good provenance, and is old Japanese collection. 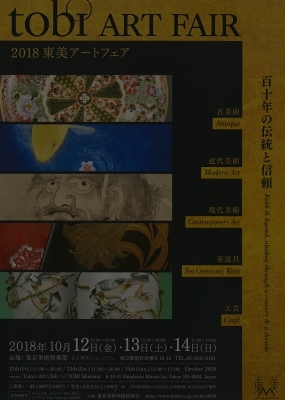 We hope that you could enjoy this special exhibition. 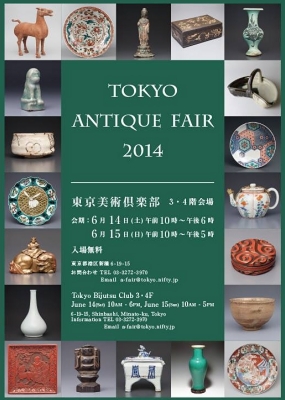 Furthermore, we would be exhibited 10,000 Antique and Fine Art items. 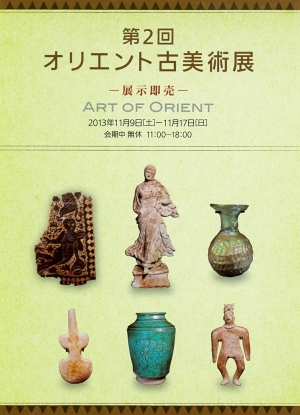 2013/11/9（Sat）～11/17（Sun）　EXHIBITION "ART OF ORIENT"
At first time exhibition"ART OF ORIENT"in April this year, many customers visited our gallery not only collectors but researchers of museum. In this time, we would offer you the high quality arts for reasonable price. Moreover, fortunately, we have acquired the very rare and good condition pieces. So, we think that you could find your favorite art. 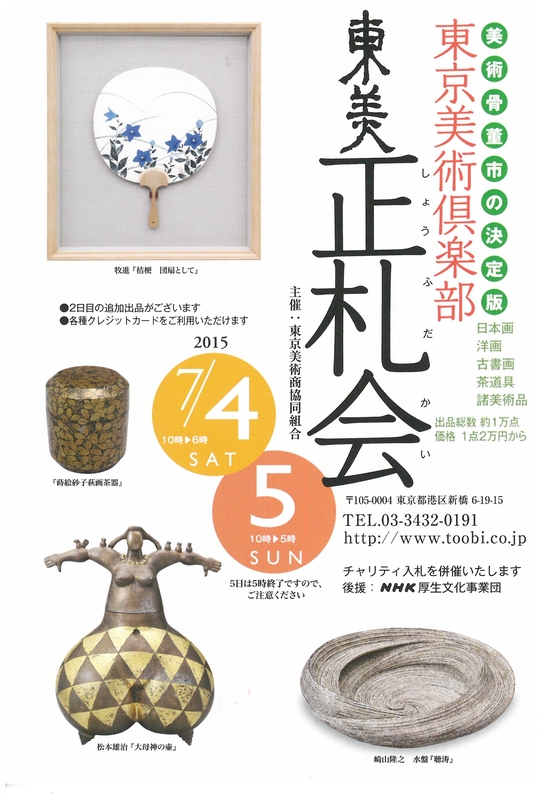 If you have time, please visit this exhibition. 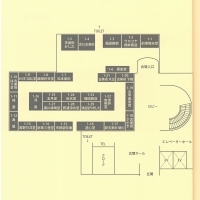 We are looking forward to meeting overseas customers. 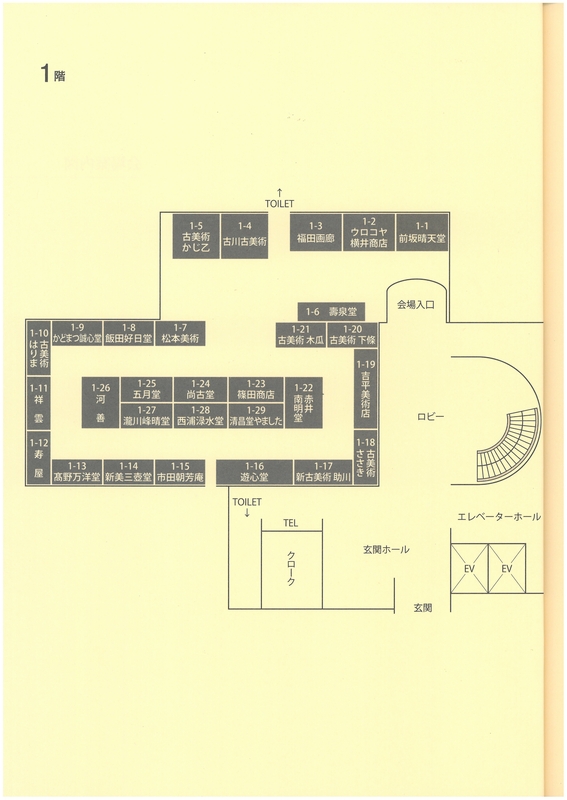 ※plese push the intercom "301" as you arrive at. 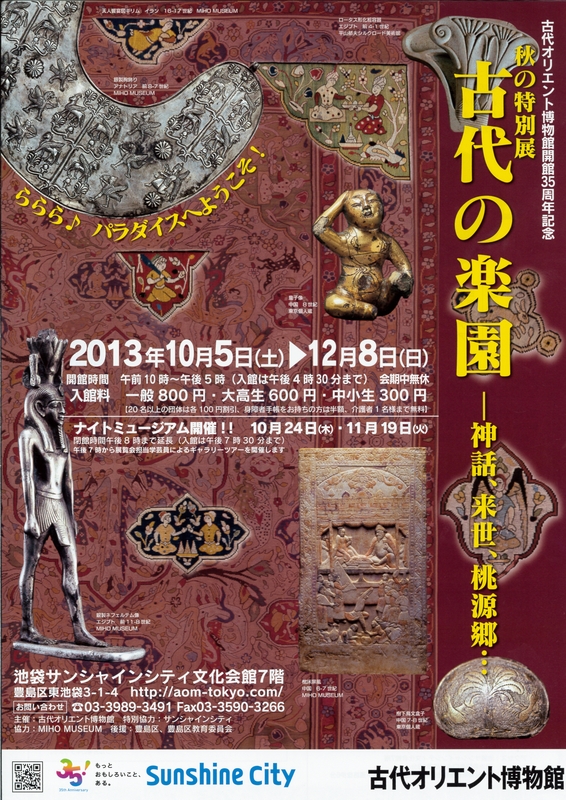 The Ancient Orient Museum started exhibition "The Ancient Paradise - mythmythology, afterlife, fairyland -". 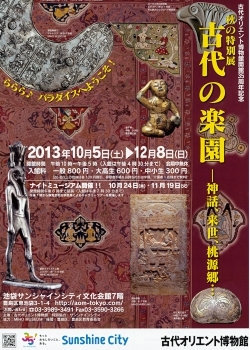 In this exhibition, put Egyptian, Greek, Near Eastern, Chinese, and there are many high quality arts. 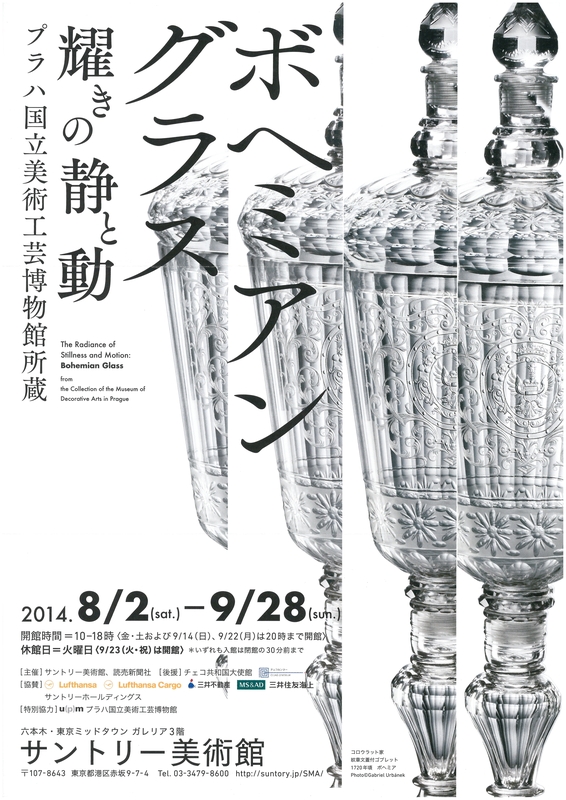 Suntory museum of Art started exhibition "Drinking Glass ～a scene of Drinking vessels～". At this exhibition, we cooperated with Suntory museum of Art. 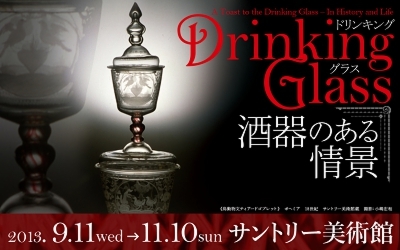 We hope that all the people coming this exhibition could feel the fascination of beautiful glasses. 西洋美術　寿屋 Kotobukiya Co., Ltd.